Kwandwe Private Game Reserve is nestled in the heart of South Africa’s unspoilt Eastern Cape, offering a world-class Big Five safari experience in 22 000 hectares (54 000 acres) of malaria-free pristine private wilderness. Renowned for understated luxury, exquisite scenery and the thousands of animals and wildlife that call the Reserve home, the four award-winning Lodges offer a range of accommodation options and activities to make every African Dream come true. Kwandwe Private Game Reserve lies on the banks of the Great Fish River, which meanders for 30km (19 miles) through this pristine, private wilderness where the Big Five once again roam freely – promising the ultimate safari experience. This founding and flagship lodge features a classic-contemporary style of simple elegance that embraces the lodge’s splendid setting high up on a steep bank overlooking the Great Fish River. The colour scheme comprises a calm and natural palette of earthy tones, from khaki browns to charcoal greys. Pewter and glass add an effortless yet understated glamour to the furnishings; artefacts such as ostrich eggshells, hides and horns create subtle points of interest and relelvance to the lodge’s surrounds, whilst natural linens and plenty of texture preserve its simple but sophisticated atmosphere. Stone walls, thatch roofs and long wooden walkways bring natural materials into the interiors, blurring the distinction between inside and outside. Set in thick vegetation overlooking a dense valley, Ecca Lodge offers breathtaking views onto an escarpment of steep shale cliffs. Expansive wooden viewing decks provide the ideal setting to soak up the bushveld atmosphere with a leisurely lunch or a sundowner drink. 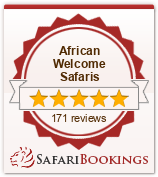 Rooms are airy and open, with barely a barrier between the indoors and the African bush. Highlights of the guest areas include the open interactive kitchen, a gorgeous rim-flow lap pool and the nearby interpretive library. Uplands Homestead strikes a perfect mix between the genteel and the wild. The elegant and refined interiors, with their classic flax natural linens, antique silver and porcelain, create the ideal foil for the rugged bushveld and wildlife outside. Furnished with authentic antiques interspersed with glass and crystal lanterns, celadon ceramic lamps and silver candlestick holders, the interiors are reminiscent of a stately Settler home from the 1820s. We have added stylish modern comforts such as exquisitely appointed bathrooms, air conditioning, private verandas for each suite and a contemporary farmstyle kitchen. There is also a full size swimming pool and gazebo set amongst rolling lawns, surrounded on all sides by sweeping slopes decorated with hundreds of aloes. Blessed with sweeping views of the river and mountains in three different directions, Melton Manor is a whimsical mix of old and new, a contemporary frontier farmhouse with a modern touch. Antique settler furniture is given fresh life with a coat of colourful paint, and quirky decor combines familiar objects with unfamiliar uses. High ceilings and expansive verandas create a sense of space, while deep couches, cosy fireplaces and a welcoming, lived-in aesthetic invite you to kick back, relax and really make yourself at home. Species such as kudu, grysbok, aardwolf, aardvark and caracal, which had always existed freely in the area, are once again thriving in their natural habitat. Kwandwe offers some of the most magnificent cheetah sightings in Africa and is also home to the black rhino, one of the world’s most endangered large animals. As Kwandwe is a private reserve, night drives are a daily feature and often result in unusual sightings such as the rarely spotted porcupine and the aardwolf and aardvark. Explore the natural splendour of Kwandwe on early morning and late afternoon / evening game drives in an open 4×4 safari vehicle. An armed ranger and tracker team share their extensive knowledge of the bush with you as you track the Big Five, as well as a variety of other wildlife. Morning drives begin as dawn breaks over the Great Fish River, and guests have the opportunity to see daytime predators, including big cats, gearing up for the day’s hunting and other activities. Many animals take advantage of the cool morning hours to graze before the heat of the day. In the late afternoon wildlife can often be spotted coming down to the river to drink. Enjoy a boat ride on Galpin Dam to the moored floating deck for a drinks stop. Night drives produce some unusual sightings, including aardvark, aardwolf, bat-eared fox and porcupine. Dense euphorbia thickets are best explored on foot, revealing a secret world of Lichen, Mosses and Ferns. Various birds of prey and other species nest in the taller trees or in the spiny canopy. Kwandwe is an ideal and stimulating location for children. Not only are there a host of tailor-made activities on-site designed to keep little ones enthralled and entertained, but our malaria-free status and proximity to a range of family and child-friendly activities in the area make this a safari experience without parallel for kids. Children of all ages are welcome at Ecca Lodge, Uplands Homestead and Melton Manor. Children 12 years and older are welcome at Great Fish River Lodge.